As European Jews and as friends of Israel, we are deeply concerned about your government plans to deport tens of thousands of Eritrean and Sudanese asylum seekers. In most democratic countries, refugee acceptance rates for Sudanese and Eritrean asylum seekers are usually higher than 50 %, while in Israel, they remain below 1 %. 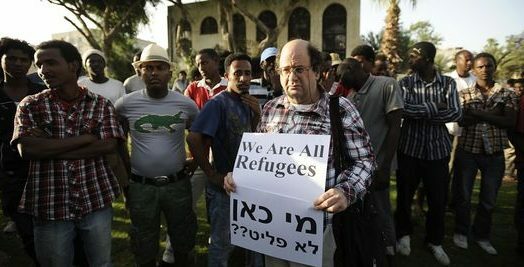 We are disturbed by numerous reports indicating that asylum seekers who have accepted to leave “willingly“ Israel have not found safety and protection in the host countries, be they their countries of origin—Eritrea or Sudan—or the third-party countries of Uganda and Rwanda. We know that many of them are not alive any more. We fear that if you move forward with these plans, the lives of thousands of individuals will be threatened, and that the name of the Jewish State and the Jewish People will be irreversibly stained. Being descended from refugees, and from people who were once strangers in a stranger land, we believe we have a special obligation toward refugees, whatever their religion or origin. We also believe that the State of Israel—one of the first signatories to the International Convention on the Status of Refugees (1951), and which, furthermore, is a State founded by refugees and survivors—should be a model for the treatment of refugees. We therefore call upon you to reconsider vour plans. We urge you to respect the rights of asylum seekers and of refugees as enshrined in the International Refugee Convention and in our traditions and values, and to allow them to live in dignity until it is truly safe for them to go home. We request you not to deport these persons who have sought refuge among the Jewish people. Let us rather work together to meet these challenges, according to our moral values.